As we enter the holiday season we are also nearing the closure of the Alaskan Way Viaduct and opening of the new Highway 99 tunnel. Here are some things to keep in mind over the next eight weeks before the longest highway closure in Seattle’s history. On January 11, 2019 the Viaduct will permanently close, followed by a three-week period before the Highway 99 tunnel will open. During said period contractors will pave new ramp connections at the tunnel’s north and south portals prior to its opening the week of February 3-9. $1.50 during the morning commute from 7-9 a.m.
$2.25 during the evening commute from 3-6 p.m.
$1.25 during non-peak hours from 6-7 a.m., 9 a.m. to 3 p.m., and 6-11 p.m.
$1 overnight and weekends 11 p.m. to 6 a.m.
Those without a “Good To Go” pass will pay an extra $2. Rates will increase by three percent every three years beginning in July 2022. The new tunnel will feature two 11-foot-wide southbound lanes on its upper deck, and two 11-foot-wide northbound lanes on its lower deck. Each deck will have an 8-foot shoulder on the waterfront side as the emergency evacuation doors and passageway have been built along that side. The tunnel’s speed limit will be 45 mph, which can then be adjusted to suit congestion via electronic lane signs. 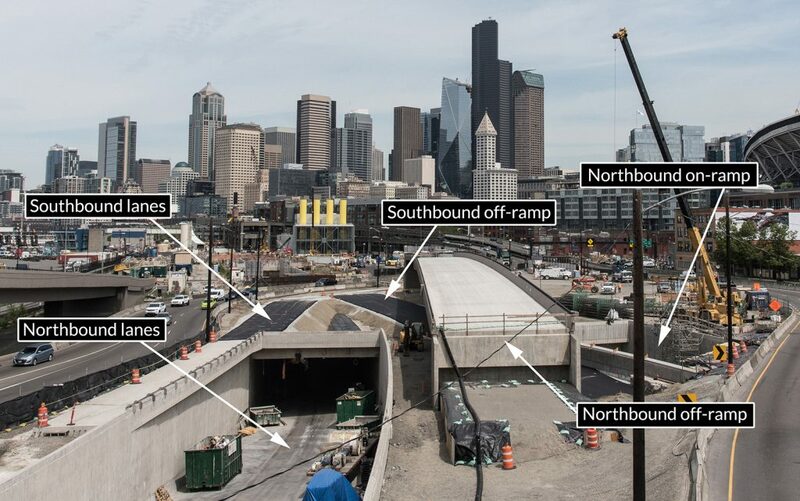 Unlike the Viaduct, the tunnel will not have any downtown exits. 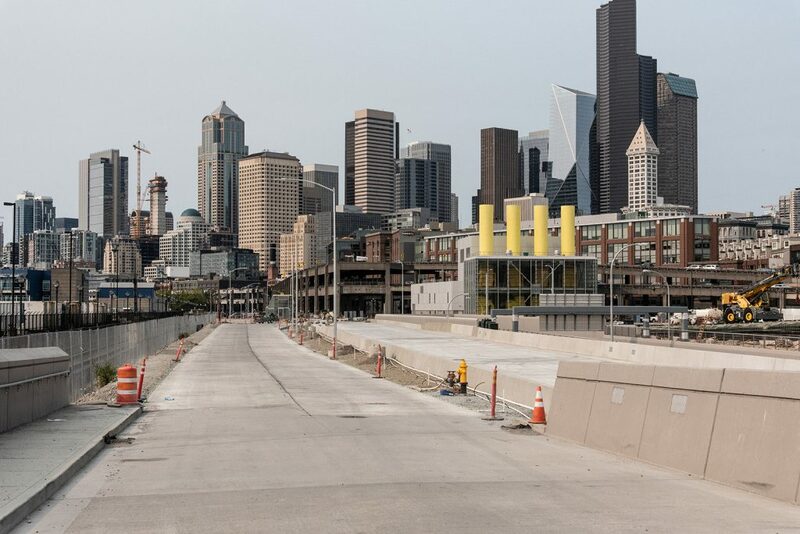 That, along with claustrophobia and the eventual tolls will likely push some drivers to Interstate 5 and surface streets, including the newly repaved four-lane Alaskan Way on the waterfront. Demolition of the Viaduct should follow its closure, running from January/February through to the summer. To celebrate the new tunnel and bid adieu to the viaduct, WSDOT is hosting Step Forward the weekend of February 2 and 3. The free event includes a “fun run,” ribbon cutting ceremony, art festival, and a bike ride.